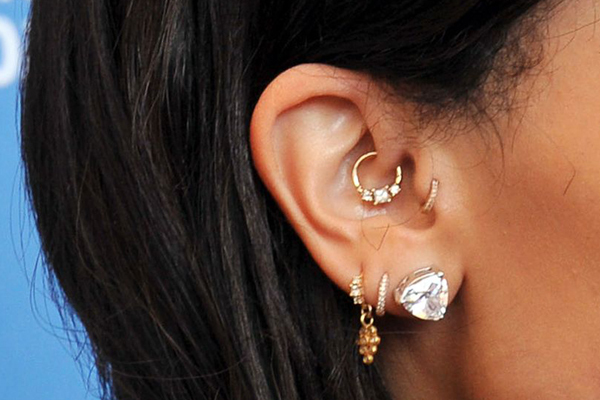 Most piercings are done for its aesthetic purposes. The migraine piercing, n the other hand, has two main purposes: one is its aesthetic purposes, and the other is its ability to heal and prevent migraines. Today, we will discuss all about the migraine piercing and if it can really cure and prevent migraines. 1 What is the Migraine Piercing? 2 Can the Migraine Piercing Really Cure Migraines? 3 Which Side Should I Get the Migraine Piercing On? 4 Will the Migraine Piercing Hurt? 4.1 How Bad Will it Hurt? 4.3 Until When Can I Feel the Pain? 4.5 What can I Do to Lessen the Pain? 5 How Should I Clean my Migraine Piercing? 6 How Much is the Migraine Piercing? 7 What Should I Remember Before Going in for the Piercing? What is the Migraine Piercing? 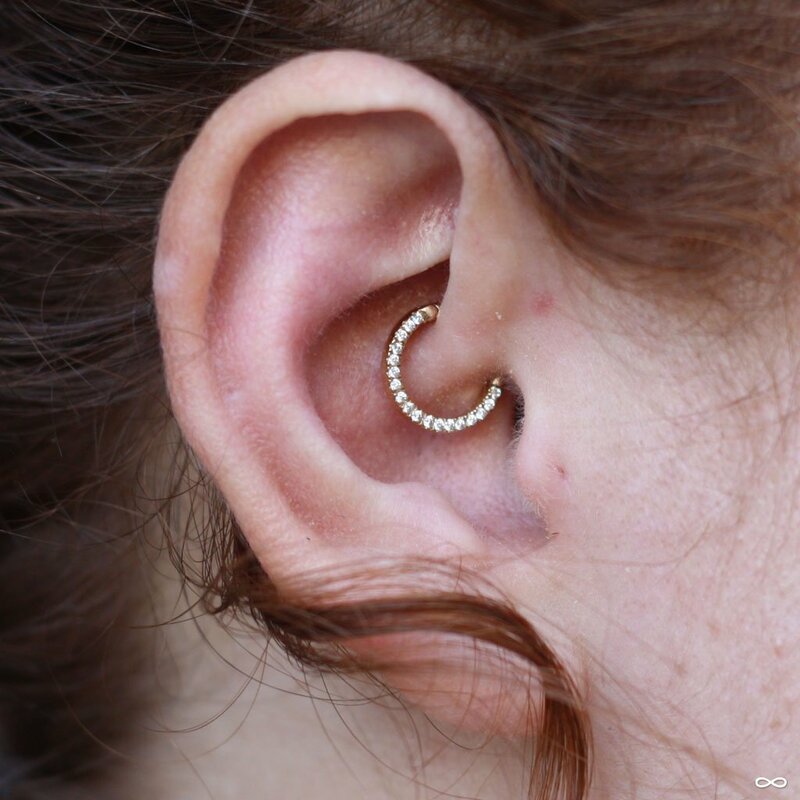 The migraine piercing, also often called the daith piercing, is one of those ear piercings that has a medical purpose. It is believed to cure and prevent migraines, although there really is no scientific study to back it up yet. 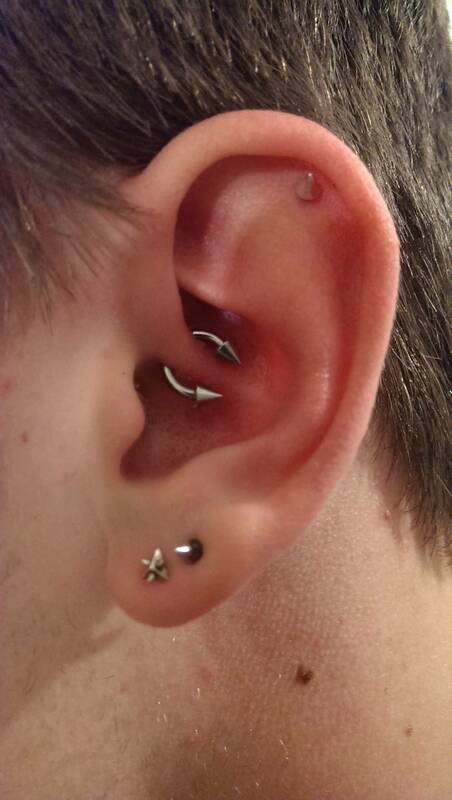 The migraine piercing is located on the innermost part of the helix, just above the tragus. 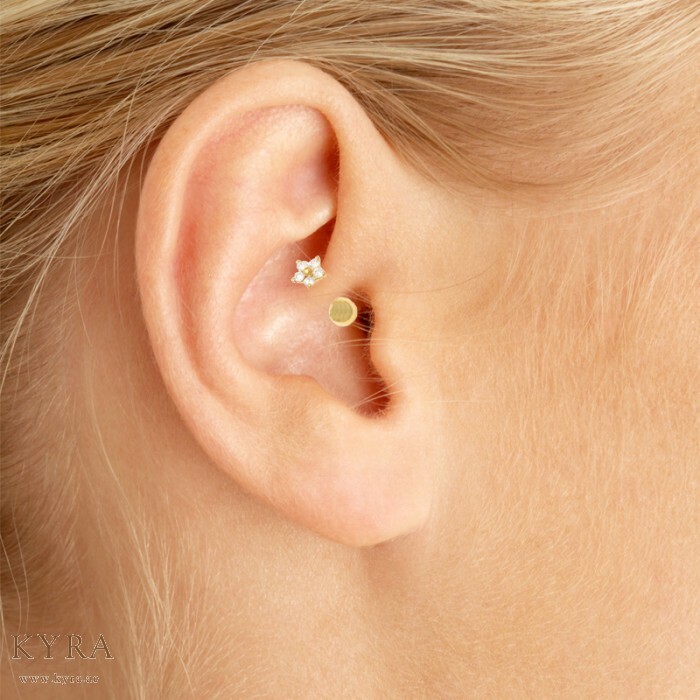 It is a type of ear cartilage piercing, which means that it will take a couple of months for it to heal completely. Can the Migraine Piercing Really Cure Migraines? You would have to keep in mind that everybody’s anatomy is different in their own ways. While the migraine piercing can work for some people, it sometimes won’t work for others. One more thing that you would have to make sure, too, is that the location of your migraine piercing is exactly where it should be. Do your research before getting the piercing to make sure that the piercer will pierce the correct area. 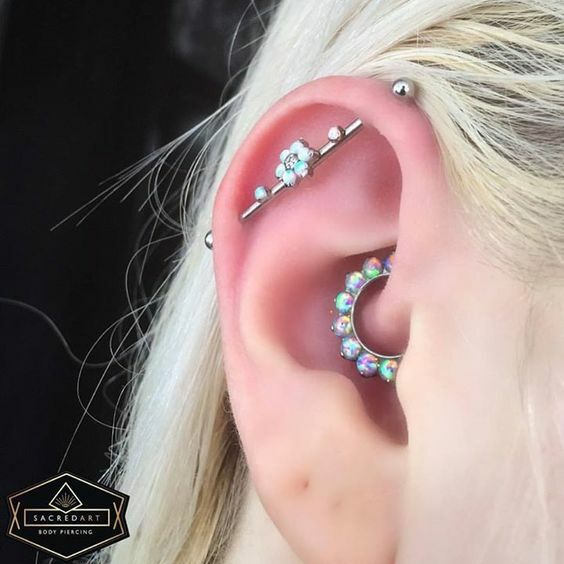 Even just a small miss can hurt your chances of taking advantage of the migraine piercing, so make sure to get your piercing from the right person or shop. Just like what we have mentioned before, there is no scientific study yet that backs up the migraine piercing. However, some people claim that the migraine piercing has reduced their migraines. While it is not a specific cure for migraines, it has the possibility to reduce and minimize your chronic headaches. Some people compare the migraine piercing to acupuncture. It is said that if done right, the piercing can help reduce migraines just like acupuncture does. Since you will be wearing the earring at all times, it will continuously compress a pressure point in your ear that is known to be related to migraines. 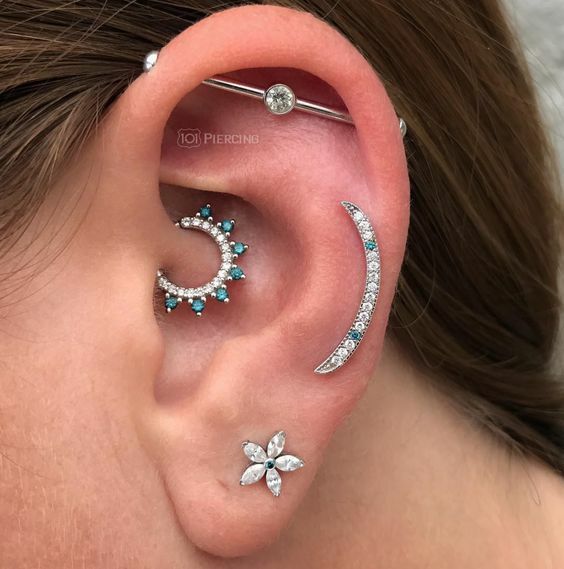 Which Side Should I Get the Migraine Piercing On? Most migraine sufferers will tell you that the pain is actually worse on one side of their head. While this is especially true, some people experience migraine on both sides of their head. If you experience migraines on one specific part of your head, then consider getting the piercing on that side. 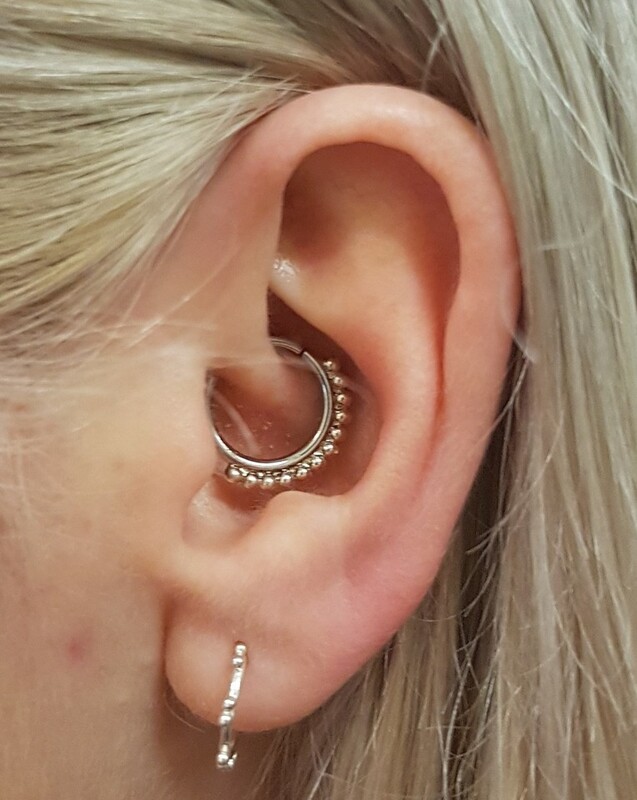 Your piercer should know where the pressure point should be, which is why it is extremely important to choose your piercer well. If you want, then you can get a migraine piercing on both sides of your ears to make sure you get the most out of its benefits. One great way to know which side of your ear you should get the piercing is to visit an acupuncture salon. Ask for an acupuncture massage on your ear and see which side gives you relief. If you get relief on the right side of your ear, then get the piercing on your right ear. If you feel better after getting your left ear massaged, then get the piercing on your left ear. Will the Migraine Piercing Hurt? Know if the migraine piercing will hurt and what you can do to minimize the pain. When it comes to migraine piercings, the initial hole or piercing may actually be very bearable. As the ear begins to swell from the penetration, your pain sensors slowly flare up and the entire ear becomes irritated. The pain that you will experience during the piercing is different from the healing process. During the piercing, you will experience a jolt of pain once the needle pushes through your ear. It is similar to that of a hard pinch, it is a very sharp pain. The healing process has more of that throbbing effect and you can experience your ear to be red and swollen during this period. The first thing that the piercer or artist will ask you is to sit on his chair. He will then proceed and have the area disinfected with his own special concoction. 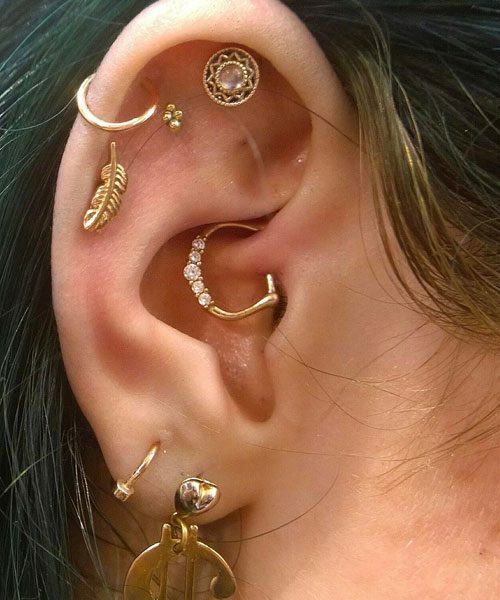 Most piercers use 99% alcohol or a mixture of water and soap to disinfect the area that will be pierced. 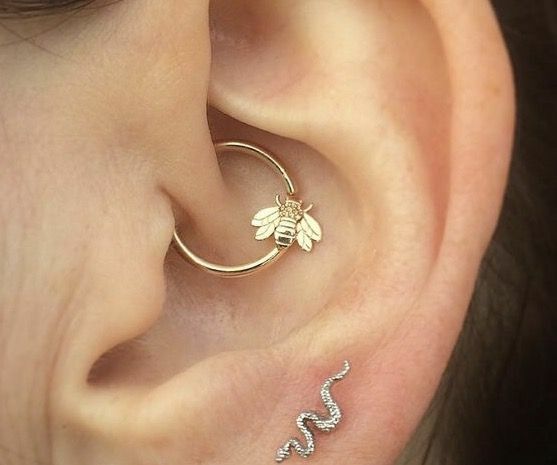 This helps prevent the possibility of getting an infection due to a bacteria being pushed through the hole in your ear. The areas that will be pierced will then be marked, so the piercer knows where to properly place the needle. They will then ask you to look at the marks in the mirror and ask you if you think the marks are good enough. After you confirm, they will place a sharp and hollow piercing needle on your cartilage. 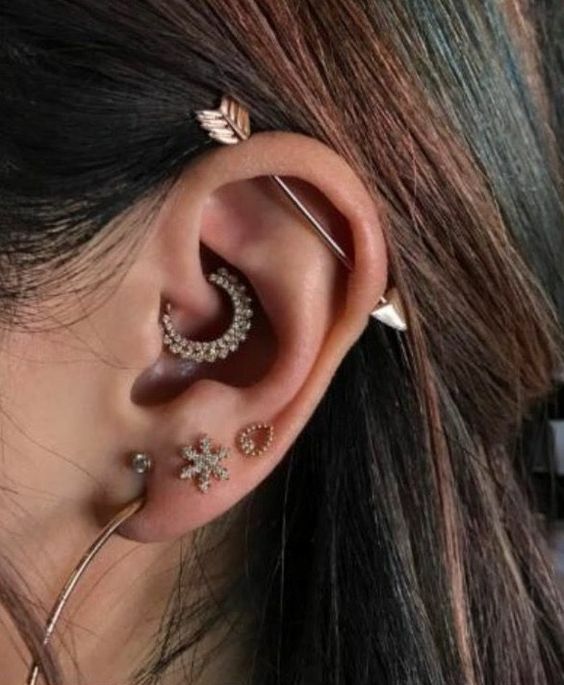 You can definitely choose the type of earring that will be used for your piercing, but always remember that the fancier the earring, the more expensive your piercing will cost. Until When Can I Feel the Pain? The pain will be a little bit worse compared to other conventional piercings, as this is a cartilage piercing. 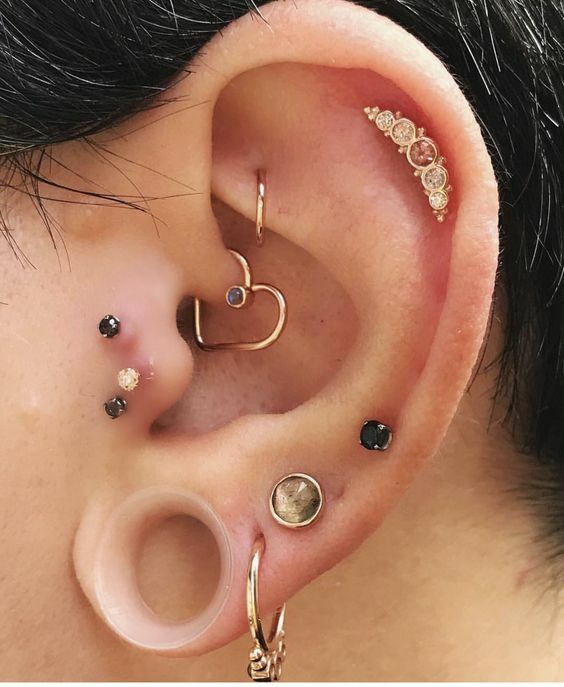 The part of the ear that will be pierced has tougher and thicker tissue and can be more sensitive compared to other parts of the ear. You do not have to worry though, as the initial pain will be gone in a minute or two. If your pain threshold is high, then you can expect to feel less pain. However, the healing process is a whole different story. Since the tissue on those parts of your ear is tougher and more sensitive, it will take a bit longer for it to heal. Expect it to completely heal within a period of six to eight months, although the pain and throbbing will mostly be gone in just a month. There’s also something to be said about the healing process. You should be prepared for more pain than you’re usually accustomed to since your cartilage was just pierced. 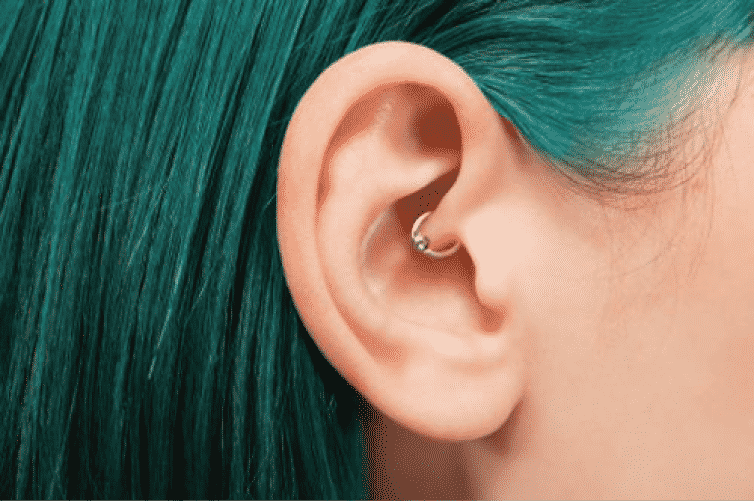 Migraine piercings take longer to fully heal compared to an earlobe piercing. Anything that slightly touches your ear could cause pain for at least the first two weeks. 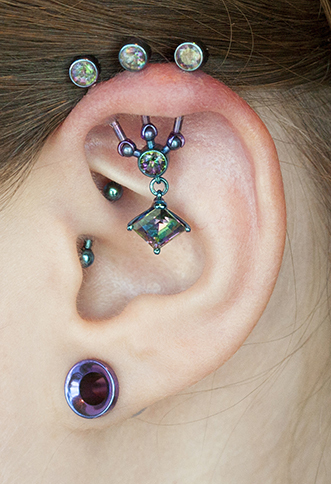 Migraine piercings can be a bit more difficult to sleep on, most especially because it is located on your ear. Because of this, swelling and flaring up is a common thing, so don’t be too worked up when this happens. As long as you keep your piercing clean at all times, you will be all good. If you happen to see pus or blood oozing on your piercing though, then go ahead and see your doctor right away. This might mean that your piercing caught an infection. Listen to your doctor and follow your piercer’s aftercare tips to prevent these things from happening. What can I Do to Lessen the Pain? There are certain things that can affect the pain that you are experiencing on your piercing. First, not sleeping enough can make you more susceptible to pain during your piercing session. Additionally, sleeping less during the healing period can also delay the healing process. Make sure to get enough sleep before the day of your piercing, as well as during the healing process. Second, being under the influence of drugs and alcohol can actually make your piercing more painful. Alcohol automatically and temporarily thins your blood out, which is why it is not a good idea to drink it before getting a piercing. Blood will more likely flow easily, making your piercing and wound bloodier and more difficult to pull off for the piercer. Third, your piercer’s skills and experience can contribute to the pain that you will experience when getting pierced. Choose a piercer that has proper training and experience when it comes to doing migraine piercings. Ask your piercer if you can get a numbing cream placed on or near the areas that need to be pierced to lessen the pain. 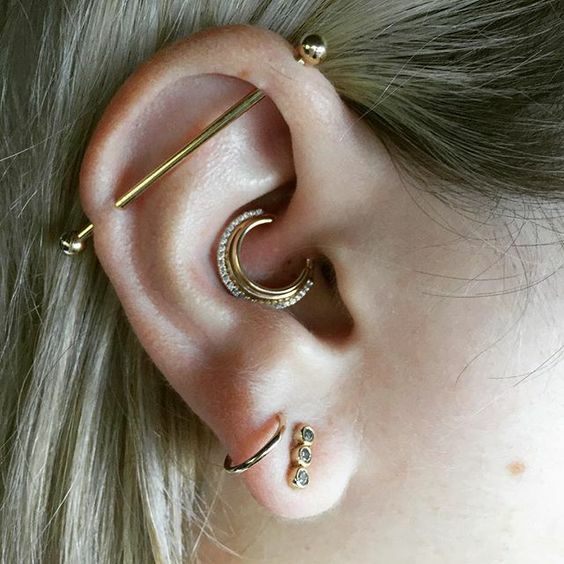 How Should I Clean my Migraine Piercing? Cleaning your migraine piercing is just like cleaning every other ear piercing. Get the sea salt that you bought from the grocery, as well as the cotton rounds or pads. Take one cup of warm water and one-fourth of a teaspoon of sea salt. Now, mix the sea salt and the warm water and dissolve the sea salt in it. Don’t stop mixing until it is completely dissolved in the water. Once you have prepared the solution, get a cotton ball or pad and then soak it in the solution. With very clean hands, put the cotton to your piercing, leaving it there for about a minute or two. If you want to keep yourself from infections and diseases, then follow this cleaning process and do it twice to thrice per day. How Much is the Migraine Piercing? The experience and skills of the piercer will also play a huge role in the price of the migraine piercing. On an average, you would most likely spend around $50 – $60 for a migraine piercing. Keep these factors in mind though, as they would likely play a huge role in the total cost when it comes to the migraine piercing. 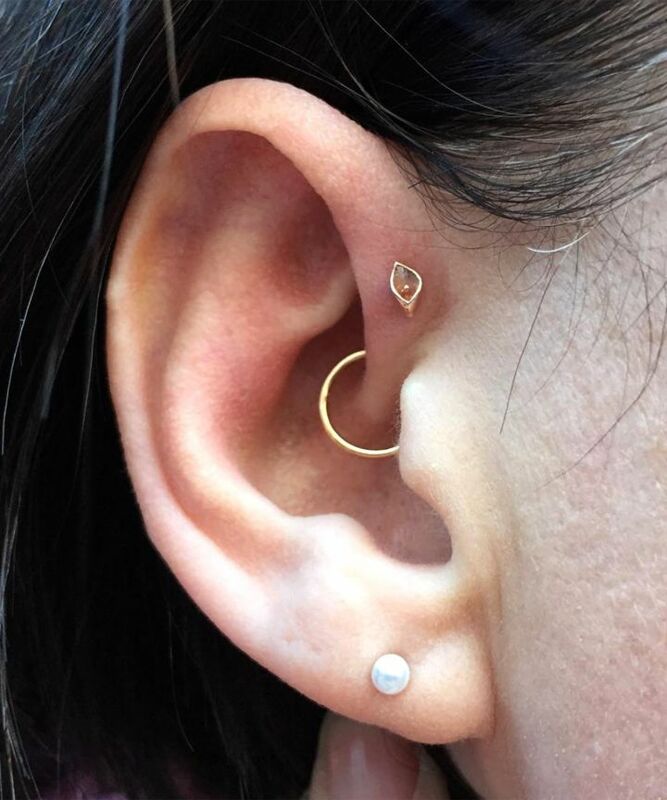 What Should I Remember Before Going in for the Piercing? While the migraine piercing pain is inevitable, there are things that you can do to lessen the pain. Continue reading to make sure you will experience less pain during and after the piercing. Do your research and know everything that you need to know about the migraine piercing. Read articles about the topic, watch some videos, and interview some friends. 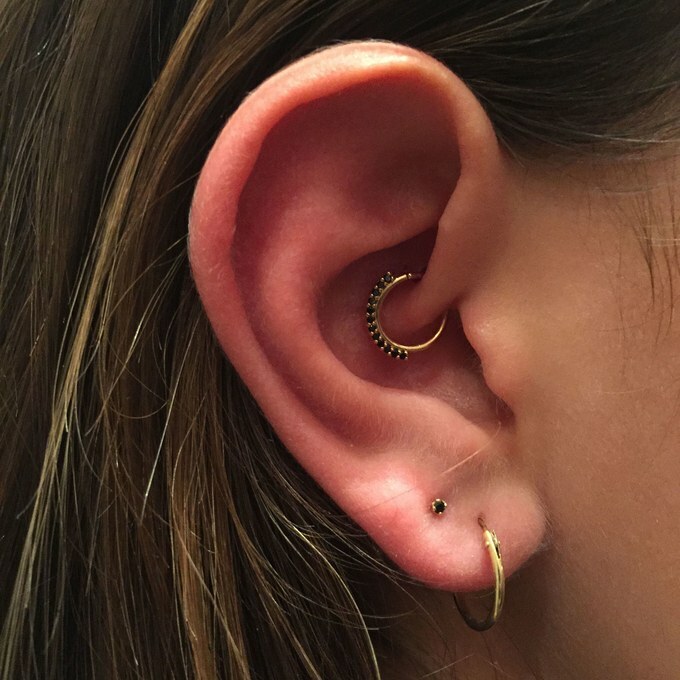 If you are super scared of the piercing but you want to get the migraine piercing badly, then go ahead and ask your piercer if you can use a numbing cream. This will minimize or eliminate the initial sharp pain, leaving you with a beautifully pierced cartilage without any type of pain. Just like with any type of piercing, your migraine piercing can get infected. There are certain things that can contribute to a migraine piercing infection, and you must always be careful not to contract those. You can usually easily tell if your piercing is infected. You should also watch out for the following. Sure, the pierced area will be red for a while. However, if you notice that the redness does not go down even after a couple of days or even weeks, then go to the emergency room right away and have it checked by a doctor, as this can easily be a sign of infection. Another thing to watch out for is extreme swelling. If you see any bumps or raised area around your piercing, then do not attempt to drain it. Instead, head to the nearest hospital and ask for help. 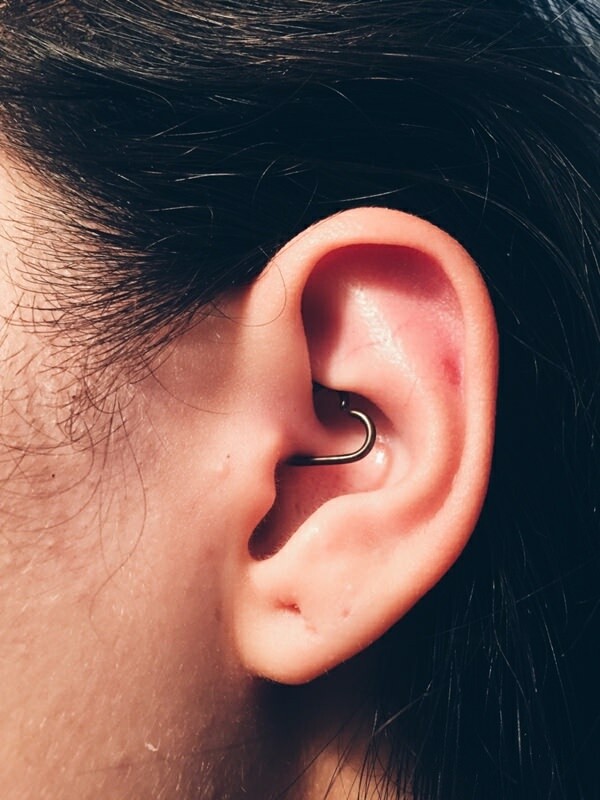 It is usual for the piercing to be a bit painful and tender after the procedure, but extended pain and tenderness can often mean an infection. If you see any bloody or yellow discharge coming out from your migraine piercing, then that is a clear indicator that you have an infection. The yellow substance is most likely pus, so make sure to check with your doctor once you notice this. Just like with any other piercing, the migraine piercing comes with certain risks. Keep on reading to be aware of it and how to steer clear of these risks. Unless you are prone to scarring and keloids, you do not have to worry about this. However, getting scars and keloids are more likely with cartilage piercings such as the migraine piercing. One thing that you would clearly want to steer clear of when getting a migraine piercing is acquiring any type of infection. Infections may be the result of unhygienic tools and unsterilized jewelry.